Based on the research of V. Ravi Anshuman, Prachi Deuskar, Krishnamurthy V. Subramanian and Ramabhadran S. Thirumalai. Should the novice stock investor follow the advice of television shows that purport to offer expert recommendations on stocks to buy or sell? In tracking stock price movements in the aftermath of TV stock suggestions, Professors Prachi Deuskar, Ravi Anshuman, Krishnamurthy Subramanian and Ram Thirumalai bring new light to bear on the role of informed agents in the stock market. Is there a short cut to investing acumen? Television shows like the Hindi CNBC Awaaz Stock 20/20 appear to be betting that there is. CNBC Awaaz Stock 20/20, which started airing daily morning recommendations on stocks to buy and sell in 2009, is modelled on T-20 cricket commentary. With a one-hour run-time, the format leaves show experts with little scope for detailed analysis. Instead, the advice is anchored in persuasive sound-bytes. Nonetheless, right from its first season, the show has been a runaway success, receiving innumerable viewer queries and along with other programming, making CNBC Awaaz the most-watched channel in its category in recent years. So should the average novice trader join the million and more viewers who zealously follow Stock 20/20 and put into action the television expert’s suggestions? Professors Prachi Deuskar, Krishnamurthy Subramanian and Ram Thirumalai, experts in the Finance area at the Indian School of Business, with Professor Ravi Anshuman of the Indian Institute of Management, Bangalore, set out to answer precisely that question, but with a twist. Deuskar and her colleagues were primarily interested in understanding the role of arbitrageurs, sophisticated agents who seek to profit from stock price discrepancies. These arbitrageurs are better able to recognize mispricing of stocks, i.e. gaps between short-term market valuations and long-term valuations, than less sophisticated traders. Would these arbitrageurs bet with or against the Stock 20/20 recommendations on the Bombay Stock Exchange? The authors’ analysed how different classes of investors behaved in the aftermath of buy or sell advice from CNBC Awaaz over the period July 2009 to June 2010. Their findings shed fascinating light on short-term and long–term stock price trends. The authors distinguish between three broad categories of actors in the Bombay Stock Exchange – individuals, institutional investors and proprietary traders. So how do each of these groups behave each time a Stock 20/20 expert flags a stock to buy or sell? The mass of individual investors do as the doctor advises. They buy when the CNBC analysts counsel buying, and sell when the show suggests selling. Not surprisingly, the market movement reflects the actions of this majority. Buy recommendations lead to an upwards jump in the price of a recommended stock, and sell recommendations lead to a decline. Here’s the catch: the effect is strictly short run. Prices recalibrate almost immediately, and by the end of the week, the recommendation might as well never even have been made. These findings also echo the results of previous studies in the United States’ context, which looked at similar shows such as CNBC Mad Money. It is the behaviour of the institutional investors and proprietary traders that leads to deeper insight into the factors that count for success in the business of stock investment. First, the proprietary traders, sophisticated arbitrageurs in each instance, are able to detect the discrepancy between short-term and long-term price trend. They act, accordingly, contrary to the show expert advice – buying when the recommendation is sell, and vice versa. By doing so, they pocket a tidy sum, but only on the “buy” recommendations, not on the “sell” recommendations. Why is this? Why cannot the proprietary traders profit on the “sell” recommendations? This is where the actions of the giants of the stock exchange – the institutional investors – make all the difference. Regulatory requirements set by the Securities and Exchange Board of India (SEBI) limit the extent to which institutional investors can engage in short selling, that is selling first and buying back later. Thus such investors rarely sell in response to “buy” advice, allowing proprietary traders to reap the gains from market arbitrage. Following “sell” recommendations, however, when the informed money is on “buy”, institutional investors face no such regulatory constraints. As sophisticated agents, not only do institutional investors stake their positions on “buy”, they put on average ten times the money that proprietary traders do. By being far more aggressive under these conditions, they are able to steal away the arbitrage profits from the proprietary traders. Although stock investments can pay off in the long term, stock trading in the short term is a not a game for the novice. It needs first, deep and voluminous information about topics as disparate as global geopolitics and regulatory trends across industry verticals. In addition, it demands the capacity to assimilate and synthesize the data into actionable knowledge. Very few achieve over time the investing wisdom of a Warren Buffet, the legendary Sage of Omaha. Moreover, as the success of the institutional investors in the authors’ analysis reminds us, in the stock market, size and aggression pay dividends. The Goliaths win for good reason. V Ravi Anshuman is Professor of Finance and Accounting at the Indian Institute of Management, Bangalore. Prachi Deuskar is Assistant Professor in the Finance area at the Indian School of Business. 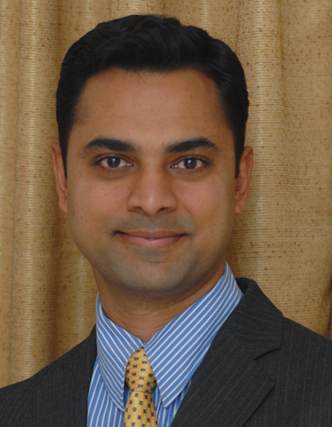 Krishnamurthy V. Subramanian is Associate Professor of Finance and Executive Director, Centre for Analytical Finance at the Indian School of Business. 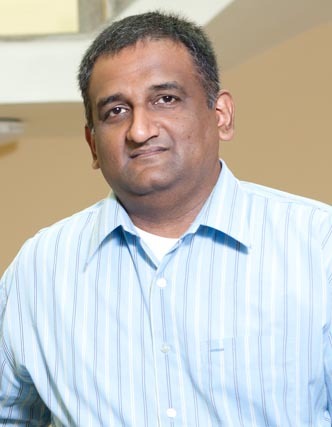 Ramabhadran S. Thirumalai is Clinical Assistant Professor of Finance and Associate Dean, Advanced Management Programmes at the Indian School of Business. Anshuman, V R, Deuskar, P, Subramanian K V, and Thirumalai R S (2017) “Liquidity Shocks and Arbitrageur Activity”, NSE-NYU Stern Initiative Working Paper. Adapted from Anshuman, V R, Deuskar, P, Subramanian K V, and Thirumalai R S (2017) T.V. Analyst Recommendations and Investor Activity”, NSE-NYU Stern Initiative White Paper. Ashima Sood is Fellow at the Centre for Learning and Management Practice at the Indian School of Business and Editor, ISBInsight.